Supreme Court Won't Let Politics Decide Health Care: Harvard Scholar : It's All Politics Harvard legal scholar Laurence Tribe argues the Supreme Court will follow precedent, not politics, in deciding on whether the new health care law is constitutional. Laurence Tribe talks as Vice President listens, November 2010. 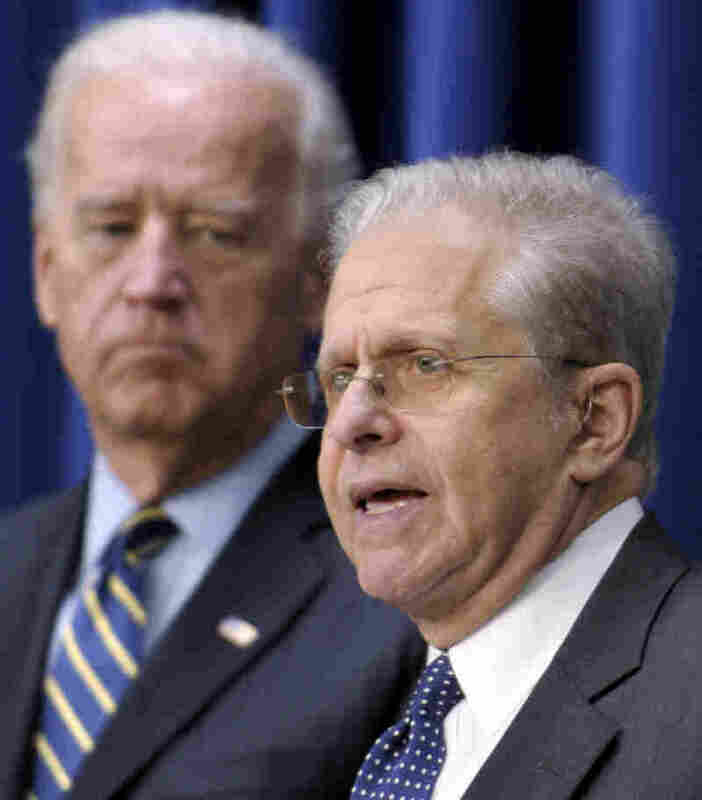 Like a lawyer whose closing argument plays on the jury's desire to do the right thing, superstar Harvard Law professor Laurence Tribe writes in the New York Times that unlike so many cynics, he believes the Supreme Court will decide the health care law based on precedent, not politics. If it follows the trend of high court opinions since the late 1930s, he argues, then the court can only decide the law is constitutional. Indeed, based on Tribe's op-ed, he would seem to be expecting the court to rule the law is constitutional in an 8-1 vote, with Justice Clarence Thomas being the only dissenter, and that based on principle. Only a crude prediction that justices will vote based on politics rather than principle would lead anybody to imagine that Chief Justice John Roberts or Justice Samuel Alito would agree with the judges in Florida and Virginia who have ruled against the health care law. Those judges made the confused assertion that what is at stake here is a matter of personal liberty — the right not to purchase what one wishes not to purchase — rather than the reach of national legislative power in a world where no man is an island. It would be asking a lot to expect conservative jurists to smuggle into the commerce clause an unenumerated federal "right" to opt out of the social contract. If Justice Clarence Thomas can be counted a nearly sure vote against the health care law, the only reason is that he alone has publicly and repeatedly stressed his principled disagreement with the whole line of post-1937 cases that interpret Congress's commerce power broadly. A constitutional lawyer, Tribe is quite knowledgeable about the Supreme Court, having argued before it scores of times. One of those times was Bush v. Gore in 2000, a case decided 5-4 along conservative-liberal lines. So Tribe's argument may be the latest instance of hope triumphing over experience. "But neither has the Supreme Court been above politics. Most justices have been political activists — party politicos — before joining the court. Many have owed their elevation to party ties, as a reward for loyalty, with every expectation that they will not turn coat on the court. Justices might shed their party labels when they take their seat on the bench - newspapers don't print (R) or (D) after their names when reporting their decisions — but with some notable exceptions, they do not abandon their party doctrines. Instead, they become politicians in robes.